In a 2005 drawing of the Colorado State Lottery, three lucky players won the $4.8 million jackpot—but now, more than a decade later, one of the winners is suing the Colorado Lottery for nearly the same amount. Why is that? 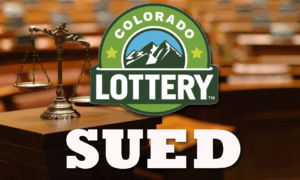 What prompted Colorado engineer Amir Massihzadeh to take legal action against the lottery that made him a winner? 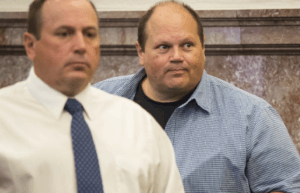 It all ties back to the Eddie Tipton case—one of the biggest lottery scandals in recent history. In a nutshell, Eddie, along with his brother and a close friend, installed a self-destructing root-kit program inside the software used by lotteries so that they could “predict” the upcoming winning numbers. Eddie Tipton and his brother, Tommy. Pulling off this elaborate scheme was easy—Tipton was the information security director at the Multi-State Lottery Association at the time so he had access to places normal citizens wouldn’t. He and his cohorts spent cashing in big on several lotteries—but, eventually, they slipped and got caught. Now, how does this relate at all to Amir Massihzadeh’s lawsuit? Well, it turns out that the 2005 Colorado Lottery draw was the first game that Eddie Tipton and his cohorts fixed. More importantly, two-thirds of the wins were theirs! Massihzadeh, after choosing the $800,000 lump sump option, went home with only $568,900 after taxes—so you can imagine how he felt when he saw that the two other winners won via fixing. Needless to say, Massihzadeh felt that because he was the only one who won fair and square, that he is entitled to the entire $4.8 million jackpot. As far as the Tipton’s are concerned, they have agreed to pay back the money they received from the lottery. In addition, as part of their plea agreements, anyone who has profited from the lottery fixing scheme will face restitution demands. Despite these, the Colorado Lottery doesn’t seem keen on paying what Massihzadeh feels he is owed. Now, Massihzadeh is pursuing a lawsuit against the Colorado State Lottery, and is seeking nearly $4 million. His argument is that the lottery is in breach of contract and that the prize awarded then to Tipton and his cohorts are invalid. From a bystander’s perspective, it sure sounds like his lawsuit has legs to stand on—but only time will tell. Currently, however, the Colorado State Lottery is adamant on not budging. How long that will last is anyone’s guess—but the pressure is definitely on. Tipton’s actions affected way more than just one man, after all. With their arrest, a ripple effect has occurred—other people are seeking legal action as well. In fact, there are hundreds of thousands currently pursuing a class-action lawsuit in the hopes of getting refunds, arguing that the draws Tipton and company were found to have manipulated should be invalidated. The draws, they believe, were not completely random. Others believe that if it weren’t for Tipton’s actions, they would have won a much bigger prize because a rollover would have occurred instead. In fact, that’s exactly what the essence of a 2011 jackpot winner’s lawsuit against the Iowa Lottery is. Whether this lawsuit has merit is another matter entirely—what’s clear is that Tipton’s misdeeds caused a lot of headaches for lottery officials and players alike.